In 1998, an executive of a major US infrastructure development company advised King Hassan against building a new seaport in the north of Morocco as it was in the wrong place and not economically feasible. They King’s response was clear. He said, “I will be the builder of my country.” King Mohammed VI carried on that determination. Today that port, Tangier Med, is one of the largest on the Mediterranean and in Africa. This strategic mindset is also behind Morocco’s determination to provide enough water for its citizens and agricultural industry. Initially, without the support of international development agencies, dams were built throughout the country under King Hassan, eventually reaching 140, with more than a hundred being constructed under King Mohammed. Morocco took a different approach then, and seems to continue it today as it steams forward with its infrastructure development, the latest project being the opening of a high-speed rail from Tangier to Casablanca, that will cut travel down from five to about two hours. According to the International Monetary Fund, the per capita income of the United States is ranked 11thin the world at $60,000 per capita income, while Morocco is ranked 115th with a per capita of $8,600. And, while the United States ranks 10th in the world in overall infrastructure development, Morocco, in 35th place, is the highest middle to low income country on the infrastructure scale. Yet the US still does not have a high-speed train. While Congress argues about whether and when the US will have an infrastructure development plan, Morocco is moving ahead with its supply-driven infrastructure development vision. New road projects, which are expected to cost $316 million and be finished by 2020, include key infrastructure projects for Casablanca, the development of the city road networks and the construction of two bypass roads and a tunnel on the national highway. Projects valued at $426 million have been launched to build a second tram line and extend the first in Morocco’s largest city, Casablanca. Three new port construction projects have been identified in the National Port Strategy 2030: a general port at Kenitra ($864 million), an LNG port at Jorf Lasfar (Phase 1 – $745 million and Phase 2 – $100 million) and a fishing-industrial port at Dakhla ($616 million).The city port in Tangier is also expanding its second terminal, Tangier-Med II, with a $1,044 billion government investment, as well as a port expansion in Nador, worth $995 million. Major solar energy projects are under way in multiple locations, as well as massive wind farms to increase energy independence, aiming to produce 2,000MW of solar power by 2020. The government is also aiming to invest $2.56 billion in the development of air travel, around half of which will go towards the modernization and expansion of Casablanca’s Mohammed V airport. Morocco’s vision for its future is large and visionary. 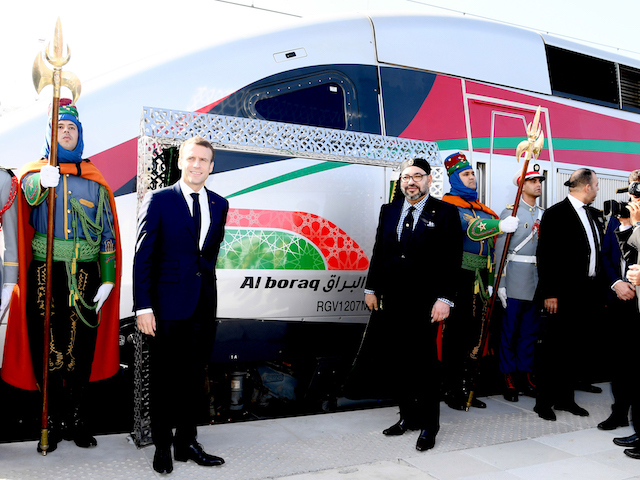 And, today, it celebrates yet another step in its modernization program: the inaugural trip of the high-speed train from Tangier – a mere nine miles from Europe – to Casablanca, the country’s largest city and financial hub. Congratulations Morocco!